Lifenotes: Songwriter Bob Willis, best known for penning the ’70s hit “Guilty Of Love (In The First Degree),” passed away July 10, 2009 at the Veteran’s Administration Hospital in Louisville, KY. He was 75 years old. 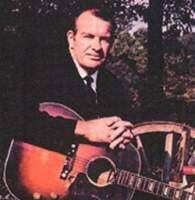 Willis recorded 15 albums throughout his career, and wrote over 1000 Country-Gospel songs, 15 of which were cut by Jimmie Davis. The Florida Boys and The Happy Goodman Family recorded “Guilty Of Love (In The First Degree)” on Canaan Records. In recent years, Willis was working with producer Doug Johnson and singer Marty Brown. His family also sends special thanks to Little Jimmy Dickens for his help through the years. An online memorial guest book is at BobWillismusic.com. Propeller, a marketing and branding agency in the faith and family market, is going green with a new solar power system. Lightwave Solar Electric recently installed a 15 kilowatt photovoltaic system with 64 panels on the roof of the historic building where Propeller is headquartered in downtown Franklin, Tenn. Community leaders, building tenants, and those who worked on the project recently gathered for a “Making the Switch” ceremony celebrating the transition. 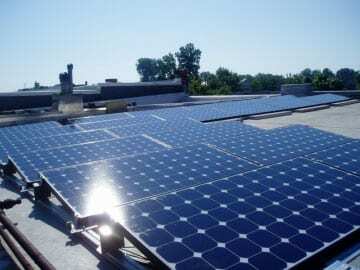 The panels are supposed to offset energy costs, at current rates, by at least $3,850 annually.